Childhood is a special time. Children need to grow up in a safe environment that provides love, opportunity for growth, and positive life experience… and of course, children need friends and fun! At Montessori Pointe Claire we provide the environment for children to make friends and to play and learn together. Our goal is to help children develop academically, physically and socially and to have them say “I love school”. Montessori Pointe Claire is a private daycare, however parents are eligible for Provincial and Federal tax rebates/credits. 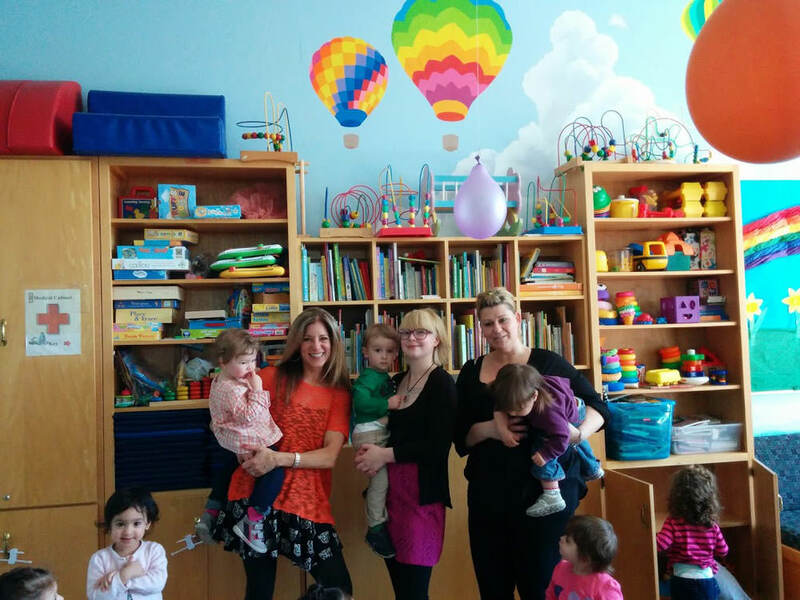 Information on these credits can be found at Government of Quebec – Daycare service cost calculator Montessori Pointe Claire is licenced by the Ministère de la Famille and follows all government guidelines and regulations respecting daycare centres (Permit numbers 2858-4241 and 3097-3143). We have 115 places available for children from 18 months to 5 years of age. Montessori Pointe Claire was founded in 1965 by Eva Stratis, a Montessori teacher from Athens, Greece. The original school was started as a half day preschool and with changing needs of families became a full day Montessori School providing day care facilities. 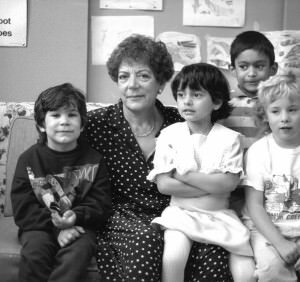 Mrs. Stratis’ progressive philosophy has made the school the unique establishment it is today. Our present-day director is Mrs. Artemis Erfle, daughter of Mrs Eva Stratis. Mrs Erfle, who has been part of Montessori Pointe Claire since 1986, is a Montessori certified teacher and has her Masters in Environmental Science. Under the guidance of Mrs. Erfle, Montessori Pointe Claire continues to provide excellence in pre-school education. At Montessori Pointe Claire, we use the philosophy and material developed by Maria Montessori, as well as significant additional materials, to provide a positive and fulfilling learning experience for young children. Our unique program allows children to meet their developmental needs at the appropriate time in their lives, prepares them to enjoy schooling in the future, and helps them succeed at school after they have graduated from our program. Children who graduate from Montessori Pointe Claire are guaranteed a smooth and joyous transition into the regular school system. The Montessori philosophy values the uniqueness of children and understands that each child will develop at his/her own pace. Each child has his/her own academic, social, and emotional needs. Emphasis is placed on allowing the child to explore and learn based on his/her own interests. Thus, teachers at Montessori Pointe Claire prepare the environment with multiple activities based on the needs of the children then allow them to choose in which activity to participate. By engaging the child through his own interests learning becomes a most pleasurable activity.